When you look up "power pop" in the dictionary, don't be surprised to see a picture of Sugar High. 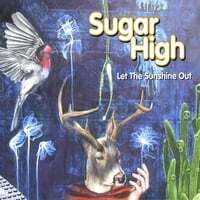 The Arizona band has regrouped to release the long-awaited followup to 2001's Saccharin & Trust, and they draw from Cheap Trick (there's a cover of "Oh Candy" here), The Shazam, and other power pop luminaries who emphasize loud guitars and uptempo tunes. "Scatter" gets this point across immediately, all crunchy riffs and hooky melodies, reminiscent of Ike. "Going/Again" adds some jangle, making the track sound like a more rocking version of the Gin Blossoms. Elsewhere, they follow the formula with various interesting touches: "Tainted" throws what sounds like a sitar into the background mix; "My Star", possibly my favorite on the disc, adds some piano; "It's All Right The Way You Live" incorporates acoustic guitars and chimes; and the wonderful closer "Around You" is heavy on the harmonica. If you want something that's classic power pop yet radio-ready and won't draw any snide looks from your non-powerpop-loving friends, this is the disc to get. Let's give it up for Debra from England and her new blog, Power Pop Review. 100x more interesting than my Twitter feed. Just what the world needs - a stream of consciousness peek into my head. Yes, I've joined the legions already on Twitter so that I can make 140-character-or-less pronouncements on anything that strikes my fancy at any given moment. If any of you care to look in, you can check it out here. Power pop and music will be only a part of what I blabber on about, look for sports, politics, movies, TV, and other stuff too. If any of my opinions offend, I guarantee your money back. P.S. : Bruce @ Not Lame is on there. 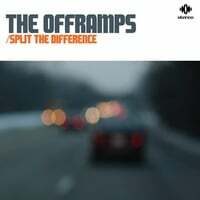 The Offramps-Split The Difference. After catching our attention in 2006 with Hate It When You're Right, this Michigan band serves up another helping of Replacements-style rock that you can both tap your feet and bang your head to. "Actual Events (Based On)" is the kind of potboiling opener crucial to setting the tone, and it comes through big time. 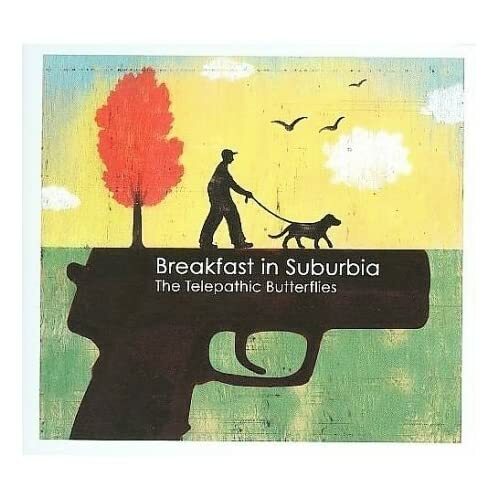 The pop leanings of "Take You Away" bring to mind Superdrag and the more rocking side of Matthew Sweet, and the boys throw a changeup with "Alimentar Los Moscas" ("feeding the flies"), an impressive acoustic Americana number. Meanwhile, "Race Among The Ruins" gives off a Buffalo Springfield vibe. No sophomore slump here. 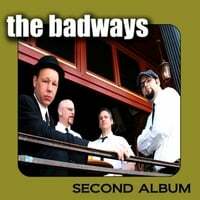 The Badways-Second Album. We stay in the state of Michigan with Detroit's The Badways, garage rockers extraordinaire, who are back with the imaginatively titled Second Album. On their debut Leave Her Alone, I wrote "Steve Van Zandt couldn't have invented a better band for his Underground Garage channel on Sirius", and that assessment still stands with the new one. "Cute Girlfriend" and "Turn You Engines On" are a great 1-2 punch to open the disc, while the midtempo "She Cannot Tell The Truth" is reminiscent of a lost Zombies track. Other standouts include "Paper Doll", "Albert Einstein", and the catchy "She's Just a Girl", complete with handclaps. Although the disc is available for download from iTunes and the like, make sure you get the CD on this one, as it contains 3 CD-only tracks including a cover of "When Doves Cry", which itself is worth the price of admission as the boys turn the Prince classic into a late 60s Nuggets-sounding track. First off, let me make clear that this is NOT the latest from the Chicago power pop band Frisbie. 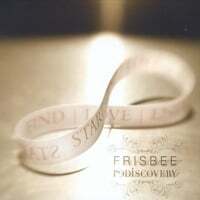 Instead, this Frisbee is Louisville's Aaron Frisbee, who goes by his last name and has come up with one of the best soft pop, adult alternative - whatever you want to call it - albums of the year with ReDISCOVERY. If your tastes run in Michael Penn-Elliott Smith-Neil Finn territory, you'll want to discover this disc. The slinky "Gettin' It Down" opens things up in fine fashion, not unlike the way Penn opened albums with tracks like "No Myth" and "Walter Reed", while "Everyone" and "Believe" recall some of Joe Pernice's solo work crossed with Sea Change-era Beck. Meanwhile, "Allright" is a top-shelf ballad with a beautiful melody, and the album's centerpiece, the "The True/All My Life/The True Reprise" melody, is a particular highlight - it's a kind of Rundgrenesque mashup between the power pop of "The True" and the piano balladry of "All My Life". Speaking of power pop, "It Must Be Good (Being You)", the disc's most uptempo track, will get the toes tappin'. And things close in fine fashion with "I Want You Back", which starts off as a bluesy, almost country-rock number a la Bonnie Raitt but then shifts back into the overall sound of the album. 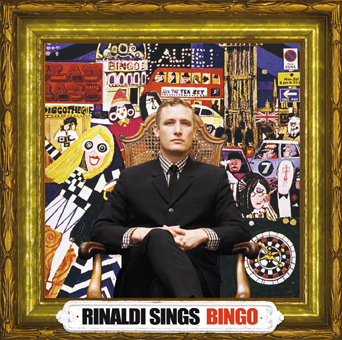 Rinaldi Sings-Bingo. Are you ready to swing? London's Steve Rinaldi goes by the name Rinaldi Sings, and his latest disc is an effervescent pop confection that is characteristically English, bringing to mind the Swinging 60's, Northern Soul and all of that good stuff - I tend to see Austin Powers in my mind's eye when I listen to this disc. "You Take Me There" takes you there - right to Carnaby Street, and "End of an Error" is a pop triumph that evokes time and place as well as The Pearlfishers' "London's In Love" did last year. And the very cool instrumental title track sounds like a lost late 60's TV show theme. For those who loved the Red Button disc last year but thought it needed to be more British - here's your album. Yeah, baby! 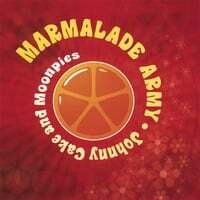 Maramalade Army-Johnny Cake and Moonpies. Speaking of pop confections, here's a band with pastry in its album title (in fact, I'm getting hungry just typing this out). Anyway, this Boston band has baked up a melange of pastoral pop that touches on XTC, Brian Wilson, and many others. "Flower Girl" is a lovely short (1:43) number that captures their sound perfectly, while "She's My Dream" is a charming Beatlesque piece that features a fun whistling outro. Meanwhile, I'll give you three guesses as to who the "BW" is in "2BW" (you'll only need one guess after hearing it), and "Marigold" sounds as if it came off XTC's Oranges & Lemons disc. A nice little sleeper of a disc, but don't listen on an empty stomach. These guys first caught my attention as buddies of Derby, but although like Derby they hail from Portland, Oregon, they have a somewhat more esoteric pop sound, something like 10cc might sound like if they were indie poppers today. Those whose pop tastes veer in the direction of more baroque, experimental pop will definitely want to check this one out. "She Blew It Like a Kiss" is a nice, gentle opener not unlike some of Derby's quieter moments or The Shins, but "Paper Castles" ups the tempo with more of an Elephant 6 approach. "Emperor Reversed" is lush acoustic-based pop, while the jaunty "Everyone Lies" treads into Beach Boys territory. There are plently of additional highlights among the 20 tracks here: "Got This Far" and "Wondering Aloud" recall Pugwash; "Break The Spell" wouldn't have been out of place with the eclecticism of The Nines' Gran Jukle's Field; "Midnight Epiphany" is wonderfully dreamy, and "Forklift Ballet" evokes Guided by Voices in both sound and length (1:30). All in all, an interesting and rewarding disc that's perfectly suited for a lazy afternoon with a pair of headphones. 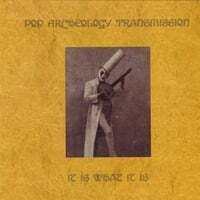 In fact, I'd daresay you'll dig Pop Archeology Transmission. 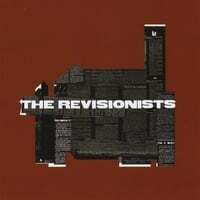 The Revisionists-The Revisionists. This band has an interesting pedigree. Two former members of Tonic (remember them?) have joined up with Sam Jones, who directed the excellent Wilco documentary I Am Trying To Break Your Heart, to form The Revisionists, and their debut is one of the best straight-ahead melodic rock albums of the year. Reminiscent at times of The Replacements and The Figgs with a bit more of an indie rock edge, this is a great album to crank up loud. "Universal" lets you know right off the bat where you stand, while "Fic Fic Fiction" and "Garden Home" marry melody to crunch with awesome results. Rock on! 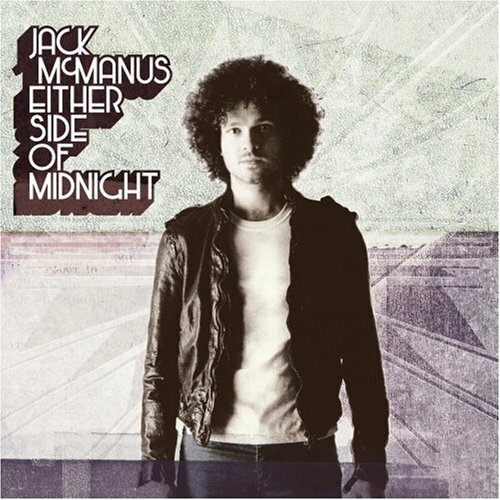 Jack McManus-Either Side of Midnight. Most "respectable" music critics are going to dislike London's Jack McManus, but most power pop fans are going to love this disc. Following in the footsteps of The Feeling and Mika with big pop hooks and a big pop sound, McManus has an album chock full of tunes that won't leave your head after a couple of listens. "Bang on the Piano" calls to mind the recent Josh Fix album, "You Think I Don't Care" and "Living in a Suitcase" would have been at home on either Feeling disc. The only catch for US listeners is that this one hasn't received a domestic release, so it's only available at import prices. Be warned: you may start listening to the tracks and find you just have to spend the $20 or so it'll take to get it. I've included an eBay search link that has the best prices I've seen for it. 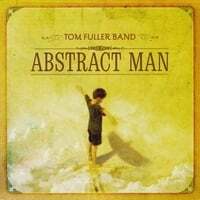 Tom Fuller Band-Abstract Man. In the last several months, CD Baby's added a "Recommended If You Like" feature on each of its new releases, and on Tom Fuller Band's Abstract Man the RIYL artists are Tom Petty and Oasis. Kudos to whoever came up with that, because "Petty meets Oasis" is a perfect summation of the sound here, right down to the sound of Fuller's voice, which sounds like Petty crossed with Liam Gallagher. "Lollipop Guild" in particular is a tour de force - aside from the two artists we've been talking about, they're mixed in with The Beatles, ELO and Jellyfish in this one track. "Sunglass Wardrobe" recalls the 'fish as well, and "Only In America" is Jason Falkneresque. There's also a pretty good cover of The Hollies "Air That I Breathe" included as well. This is a must for fans of any of the bands referenced here. Now this is more like it - the kind of infectious power pop that grabs you on first listen. 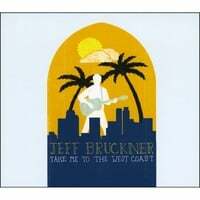 Jeff Bruckner, hailing from the Philly area, has enlisted the local power pop mafia (Smash Palace's Stephen Butler, MezzRow's Anthony Bezich) in crafting his winning debut album, Take Me to the West Coast. This disc has it all: gobs of hooks, sing-along choruses, enough bpm to get your feet tapping and one killer track after another. Fans of Cheap Trick, 100% Fun-era Matthew Sweet, and Big Kid will love this, as well as most power poppers with a pulse. It wouldn't be this kind of disc without a great opener to draw you in, and "Chicago" fits the bill, with its "come on, come on" chorus and crunchy guitars. "Not Feelin' It" rocks with purpose, and while "Point of View" slows down the tempo a bit, it's top-shelf jangle pop. "Murdering Man" calls The Posies to mind, and it's followed by perhaps the catchiest track on the disc, "Quarterback Lover". Other tracks of note include "Song to Pay for You", another melodic gem, and the largely acoustic "Envy of All Our Friends". The common thread through all these tracks is Bruckner's delivery, which keeps a high level of enthusiasm going and makes each song more than the sum of its parts. Incidentally, Jim has a new album due out next month, titled Misadventures In Stereo. Looking forward to it. John McKenna may not be a name that strikes you as familiar, but when I add the information "former lead singer of Red Guitar", many of you will go "ahhh". (Others, no doubt will ask "Who was Red Guitar?" The answer is here. That disc was #21 in my top 100 of 2006, by the way.) Anyway, McKenna left the Midwestern band last year, moving to California. So now that he's literally not in Kansas any more, how does his first solo disc stack up? Quite well, thank you, and it's not a replication of Red Guitar's sound. It's just as melodic (if not moreso), but instead of Red Guitar's heartland U2/Coldplay orientation, what we have here is something with a mellower vibe, in tune with his California move. In fact, it reminds me a great deal of The Autumn Defense and Hotel Lights, two projects that saw members break away from their famous bands (Wilco and Ben Folds Five, respectively) to create their own sound. 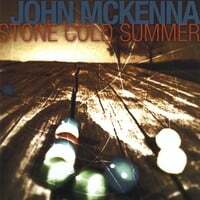 The comparison also holds up as McKenna is similar vocally to John Stirratt and Darren Jessee. Opener "Stay In My Mind" is a perfect example of this sound, slinking along with a hummable melody and California feel. "Dedicated" is a bit perkier, with an excellent chorus that recalls some of Red Guitar's better moments. The title track and its effortless melody is a particular standout, moving into Jayhawks territory. Other highlights include "Blues & Greens", which rocks out more than the rest of the disc, although in relative terms; the dreamy "Into The Wild", and the closer "The Man In Me", which starts off with an awkward cough and a count-in that segues into a 70s-ish gospel/honkytonk/folk number. Stone Cold Summer is a fine debut that avoids the "lead singer goes solo and puts out watered down version of his band disc" trap that's so common in cases like this. Bleu and Mike Viola are at it again. The last time they teamed up was for the L.E.O. project, and we all know what a success that was. Now they've joined forces as The Major Labels, and their disc Aquavia is available for free download at noisetrade.com if you give them three email addresses to pass on, or you can "pick a price" to pay for the download. (And to be ultra-helpful, I've included a widget for it in this post). Like some other recent releases, this is as meta as it gets (the band title, many of the tracks), but that's OK. I don't need to get into a track-by-track thing, because it's Bleu. And it's Mike Viola. And it's not Gregorian chants or dissonant electronic music, it's the two of them in their pop milieu. And it's free. So why are you still reading this and not clicking below? Danna & The Changes is a new band from Australia, and their debut release Consonant Cacophony marks the third in a trilogy of outstanding recent releases from the Popboomerang label. Unlike the other two, there's a bit more of a front porch rather than pop studio feel, but to paraphrase the famous SPCA movie disclaimer, no melodic content was sacrificed in the making of this album. Consonant Cacophony runs the gamut of alt-country, folk/rock, and yes, power pop, and Danna & Co. manage to make it sound like they've been doing this for twenty years. "Baby Love" jumps out of the gates with its "Lust For Life"-beat over a raucous melody; it's almost as if Ryan Adams were fronting The Strokes. "Good Duet" steps into what could best be described as Exile-era Stones territory, but only brighter. Another bright spot is the piano-based "He and She", which manages enough country swing and pop smarts to make Walter Clevenger proud. Elsewhere, they branch out into Brian Wilson balladry with "He Was Irrelevant", have a hoedown with "Janie", venture into more traditional power pop in "Shake It Up", and try their hand at cowpunk with "Rise and Shine". By the time they wrap things up with the anthemic "Station", there's only one conclusion to draw: this is the roots-rock album of the year so far. 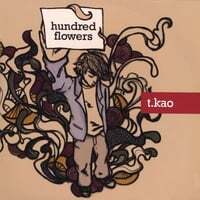 T.Kao-Hundred Flowers. Although a native of Ohio, T.Kao spent five years in Shanghai as a musician, and both the title of the disc and the track "1989", a tribute to the Tiananmen Square victims, are informed by this time in China. But rather than a political protest album, this is a top-notch singer/songwriter offering. "Sweet Surrender" in particular is an oustanding midtempo track that reminds me of The Endrick Brothers, while "Every Little Thing" calls to mind the more rocking side of AM and Gus Black and the aforementioned "1989" works as a rocker as well as a tribute. Good stuff. Transmission Fields-Words, Numbers and Phonetic Sounds. This Charlotte, NC band has an engaging sound that comes in somewhere between indie pop and power pop, and the opening track "While I Sleep" is a perfect example of the best of both styles - just try getting that "I belieeeeve it all" chorus out of your head. Other standouts include the kinetic "Hero", which suggests a more conventional Guided by Voices with a longer attention span; the languid "Days of Waiting", and the near-Americana of "Run". A promising debut and with 8 tracks, a bargain at $5. Andy Spitson-All Eyes on You. This is the second EP for this Illinois artist, and although I've not heard the first, this one makes me want to go back and check it out. Only four tracks here, but a definite case of quality over quantity as Spitson shows he's a classic power popper. He reminds me quite a bit of Ari Shine, with his Elvis C influence, especially in the rip-roaring "First, It's The Crush". Meanwhile "Hand Jives & High Fives" is rockabilly roots pop a la early Marshall Crenshaw. 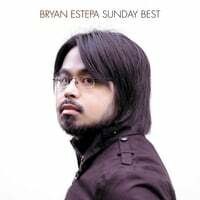 I'm not sure what it is about Bryan Estepa's albums that leads me to initially underrate them. 2006's All The Bells & Whistles (which was released later in the year) came in at #28 in my top 100 that year, but as I've mentioned before, if I were doing the 2006 list from scratch today, it'd probably make the top ten. With that in mind, I eagerly anticipated his new one, Sunday Best, and figured I wouldn't underrate him this time. So I received it a little over a month ago, and immediately got distracted by another Popboomerang disc that came along with it, the Adrian Whitehead album. But now that a month has passed, I've gone from "yeah, that sounds nice" to "hey, that's really good" when I've hearing songs from the disc, so once again with the passage of time the quality of Bryan Estepa's work comes shining through. As with the debut, Sunday Best finds Estepa with a sound that on one side recalls Michael Carpenter (who produced the debut) and Neil Finn, and the other leans into alt-country. Opener "Aches and Shakes" falls into the former category, with an easy-sounding, breezy melody that will bring a smile to your face. "Different With You" is more straight-ahead power pop, while "Stars" is straight-ahead folk/rock. Estepa has always counted the Beach Boys as an influence (i.e., the brilliant "Western Tale" from All The Bells & Whistles), and this time he pays an overt tribute in "Carl Wilson" that comes from the same place in the heart as, say, the Replacements' "Alex Chilton". Elsewhere, Estepa rocks harder than ever on "Myself", channels Gram Parsons on "Skipping Days" and "Worry Me None", ventures into Elliott Smith territory on "Second Guess" and then closes it in perfect fashion with the slow-building title track that encapsulates all of his styles in the space of 5:01. A great talent, and a great album. 50 Words or Less on a bunch of discs. *It's always a bit off-putting to see the same word used consecutively, even it makes complete grammatical sense. Brownie points to anyone who can come up with the power pop reference in that turn of phrase. Rhapsody has always been kind of the stepchild of the online music industry; not as hip or niche-oriented as iTunes or eMusic, they've basically served as the best of the subscription online music services, which is an OK model with the major drawback of having to eschew an iPod in favor of one of the WMA/DRM "plays for sure" models. Anyway, in addition to maintaining their subscription service Rhapsody this week has joined the crowd in selling non-DRM'd mp3s, and the reason I bring all this up is that between now and Friday (July 4), they're offering $9.99 worth of free mp3 downloads, which is either 10 tracks or most full albums. The only requirements to qualify for this offer are to create a Rhapsody account and give them your credit card info. There's no further obligation to buy anything. And this offer gives me the opportunity to segue to a post on the new Paper or Plastic release, Don't Be Like That. It's the perfect segue because Don't Be Like That is an digital-only release and for now at least, PoP is only selling pressed CDs of the album at their shows. For those who don't recall them from their 2006 mini-album Best of Luck to Cody James, PoP is a piano-based power pop band from Portland (love me some alliteration) that comes down somewhere between Ben Folds and Elvis Costello with a little bit of The Argument and Jack's Mannequin thrown in. This one might be their best yet - tracks like "Good Looks & Dedication", "For Christ's Sake" and "Break Your Bond" capture their essence, while "Six Diplomats" even trends a bit into Decemberists territory. Great stuff, and since it only has 9 tracks, you can get them individually and still have one free download left over. (Incidentally, you can listen to full streams of each track on Rhapsody as well by clicking on the play button; you can stream 25 full-length tracks without even setting up an account). UPDATE: Although it's not power pop, perhaps the best deal to take advantage of in this Rhapsody promotion is The Doors' Perception, a 90-track boxed set that's amazingly listed at $9.99. 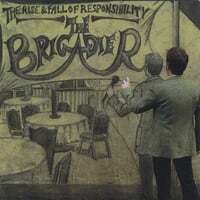 The Brigadier-The Rise & Fall of Responsibility. The Brigadier is the UK's Matt Williams (not to be confused with the follicly-challenged former American baseball player) and his followup to last year's View From The Bath is a major step forward. This is a perfect album for those who enjoyed Andy Partridge's more Brian Wilson/Beach Boys-influenced excursions with XTC, and the opener "Growing Up Is Hard to Do (Part 1)" is a great example of this sound. Other standouts include the baroque pop of "The Language of Love", the 70s stylings of the languid "We Soiree", and the bouncy "This Is Why...", which seems to have borrowed its backing track from a combo of the 1975 Maxine Nightengale hit "Right Back Where We Started From" and Elton John's "I'm Still Standing". An excellent tour of pop styles with a unique British sensibility. 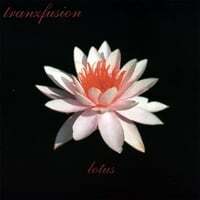 Tranzfusion-Lotus. While a lot of regions of the US seem to be overrepresented on my blog, it's nice to check in for a change with a band from mid-Atlantic states: Salisbury, Maryland's Tranzfusion. Their debut Lotus is a promising one, and on their CD Baby page they manage to make their own series of comparisons that we critics enjoy using: Elliot Smith meets the Rolling Stones, Wilco meets the White Album, and CSNY meet Nirvana. Personally, I'd mix and match here, more like Elliott Smith meets the White Album. Start with "I Mean The Things I'd Never Say", a buzzy number that recalls Smith's more rocking side. "Tethered" might best be described as trip-pop, a bit swirly and Lennonesque. And don't miss "Blue Sky", which is where the Wilco comparison kicks in; the Wilco of Summerteeth that is. A bit off the power pop beaten path, but definitely worth a listen. My Brother Woody-It's a Long Way From That Sort of Thing You Were Raised. 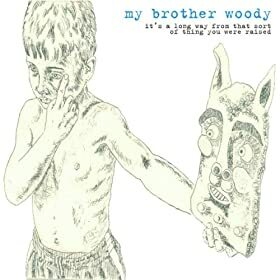 Sporting one of the longer titles this side of a Fiona Apple album, the debut of Dublin's My Brother Woody is cut from much the same cloth as The Brigadier disc above. "Another Wave of Harmony" melds Joe Pernice with Brian Wilson; "Hanging Around" is pure power pop a la Michael Carpenter; and "Your New Found Taste" is a wonderful midtempo number with some fine Alpert/Bacharach-like horn work. Top-shelf stuff.